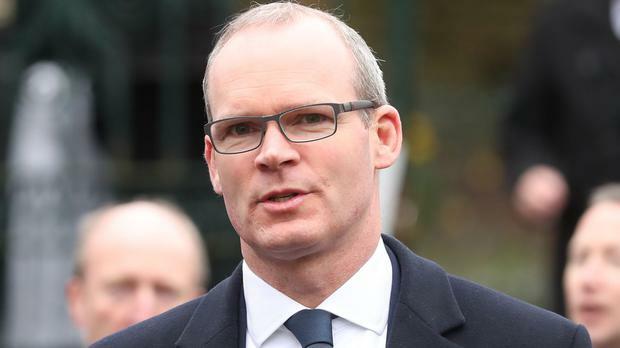 HOUSING Minister Simon Coveney is holding strategy meetings with his closest advisors amid mounting pressure for him to end his Fine Gael leadership bid given the near unassailable lead already boasted by his rival, Social Protection Minister Leo Varadkar. Mr Coveney cancelled a planned media event at 2pm outside his Carrigaline, Co Cork constituency office just minutes after Tanaiste Frances Fitzgerald endorsed Mr Varadkar as Taoiseach Enda Kenny's successor. The Cork TD instead decided to address the media at a campaign rally in the Capitol Complex in Cork city centre at 8pm. The rally, planned to be attended by hundreds of his Cork supporters, will be one of the first major events staged in the multi-million Euro new complex. Mr Coveney will spend the afternoon lobbying and consulting with local councillors who now offer his best chance of a comeback in the race. A spokesperson this afternoon insisted he would not be withdrawing his name. There was mounting speculation today that Mr Coveney would quit the competition after Social Protection Minister Leo Varadkar today unveiled 45 parliamentary party supporters at his campaign launch. It is understood some members of his team believed he should pull out of the race and instead seek to unify the entire party behind Mr Varadkar. However, Mr Coveney’s spokeswoman confirmed this afternoon he would not be pulling out of the competition. “(He’s) definitely not pulling out and wants to see it through,” she said. However, key supporters admitted that matters have significantly changed over the past 48 hours. "It is an uphill battle, that is for sure. But it is still possible," Senator Jerry Buttimer said. However, other key advisors to Mr Coveney have urged him to consider whether persisting with the full two week election campaign would run the risk of generating damaging splits in the party. Mr Coveney has himself repeatedly warned that the campaign to elect a new Fine Gael leader should not be allowed prove fractious or threaten to generate divisions within the party. "Party unity is absolutely vital," he warned at a Kinsale event two weeks ago. Some are now concerned at the media headlines generated by comments from key Coveney supporter, Kate O'Connell TD, where she described Mr Varadkar's supporters as "choirboys." One advisor, who asked to be unnamed, admitted that the flood of senior Cabinet endorsements for Mr Varadkar has substantially changed the electoral landscape. "It is simply stating the obvious to say that the momentum is now with Leo's campaign. There's a mountain to climb for us," he said. "Whatever decisions need to be taken, I have absolutely no doubt but that Simon will take them." Minister Richard Bruton and Public Reform Minister Paschal Donohue endorsing Mr Varadkar. The Coveney campaign suffered a further blow when support expected from specific people including Agriculture Minister Michael Creed failed to materialise. But European Affairs Minister Dara Murphy, a key Coveney supporter, still insisted that the campaign could take a twist. "I would not be concerned. We have a big parliamentary party. We have a large number of councillors and the largest membership of any political party in the country." Mr Murphy challenged analysts who said Mr Varadkar was virtually at the finishing post. "I am not sure (about that)- the only poll that matters in when people vote." "Of course our electoral system allows our 20,000 members and our hundreds of councillors to also have the opportunity to contribute to this." "There is plenty left in this campaign for sure." Senator Buttimer said while the parliamentary party vote was important, a close race will be decided by the party's councillors and their 20,000-strong membership. "It is very hard to predict," he said. "I always felt it would be a very close race between two hugely talented politicians who are two excellent candidates." "I still believe that everything is there to be campaigned for." "I don't think anyone was actually that surprised by the early declarations of support for Leo." Mr Murphy said the importance of the election cannot be overstated. "We have two excellent candidates in the field. Enda Kenny did a great job for the country and he stood aside at a good time particularly with a bit of a gap in the Brexit process," he said. "We will know in the next few weeks which of the two will take over the party." "It is a very, very important time for the country and we need strong, stable Government." "I worked beside and known Simon Coveney for many years. I think he has got the qualities we need at this time to lead our country."